"Persons habituated to a daily summer swim, or to the rapid wash with cold water over the whole body in the water, are far less liable to sudden colds, inflammatory diseases, or to the suffering of chronic complaints. The skin, one of the great inlets of disease, becomes tough and thick, and the processes of life are carried on with much more vigor." 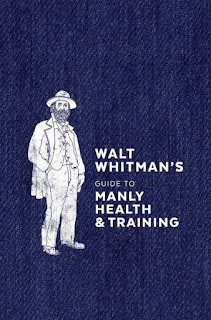 So believed American poet Walt Whitman in 1858 where he wrote about the tonic and sanitary effects of cold water [see here]. From Walt Whitman's Guide to Manly Health & Training, a collection of his best quips, quotes, and extracts on healthy living, recently published by Ten Speed Press, a division of Penguin Random House.